Acceptance it might find of thee. Velazquez. 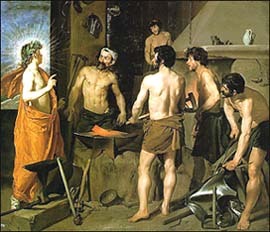 The Forge of Vulcan, 1630.